These baby shower ideas are the most memorable! With each passing year, more baby shower ideas hit the trade shows and find their ways to sites around the web. Some of the most popular baby shower trends (such as zoo animals and baby books) have stood the test of time and are now iconic baby shower ideas. Other much more modern themes (like co-ed showers and more unique, personalized ideas) come in waves of popularity. You want to choose what works best for you and your partner. Why are baby shower ideas so important? Well, when you first find out you're expecting and start planning your baby shower, it’s important to research for inspo so you can easily narrow it down. What do you like and what don't you like? Establish that and go from there. This day will celebrate you and all the hard work your body is doing to grow your baby — and, of course, shower you with gifts so you’re fully prepared for his or her arrival. Your baby shower will be one of the most epic days during your pregnancy, filled with so much love, laughter, support, and photo ops. You want all the details to be on your terms. You'll show your little bundle of joy these pictures someday, too! 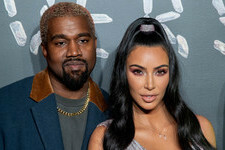 So take the time to look through the trending decorations, colors, invitations, and even desserts that are currently popular, and go from there. We promise our shower ideas will fill you will with so much baby shower inspiration that you'll find yourself online shopping all night long (because you were up running to the bathroom anyway, right?). With so many different baby shower ideas to choose from, it all really boils down to today being about celebrating and pampering mom, right? Yes! Whether you hire some local manicurists to come to your home for the shower or have stations set up with electric manicure kits and do a budget-friendly version, it will be so much fun to get together with your girlfriends for a spa day! No matter what your budget is for your baby shower, hosting an inexpensive co-ed baby shower is a really fun and relaxed way to go, and you can even include all the men! Turn your special day into a big party filled with fitting decorations and of course, delicious food on the grill. 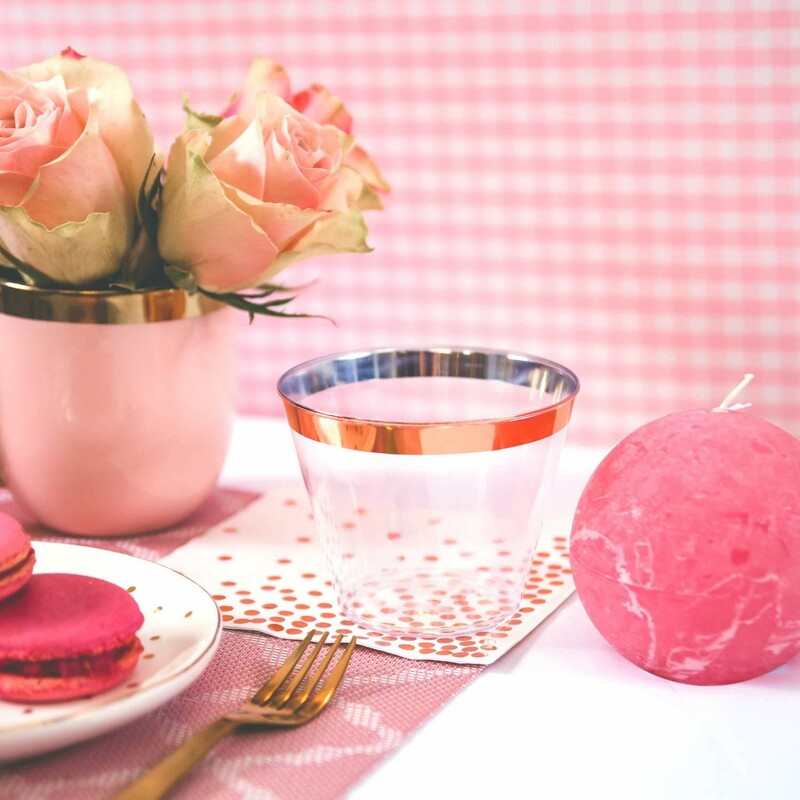 Break out that china that you have never used and switch things up with a decadent tea party for your baby shower. 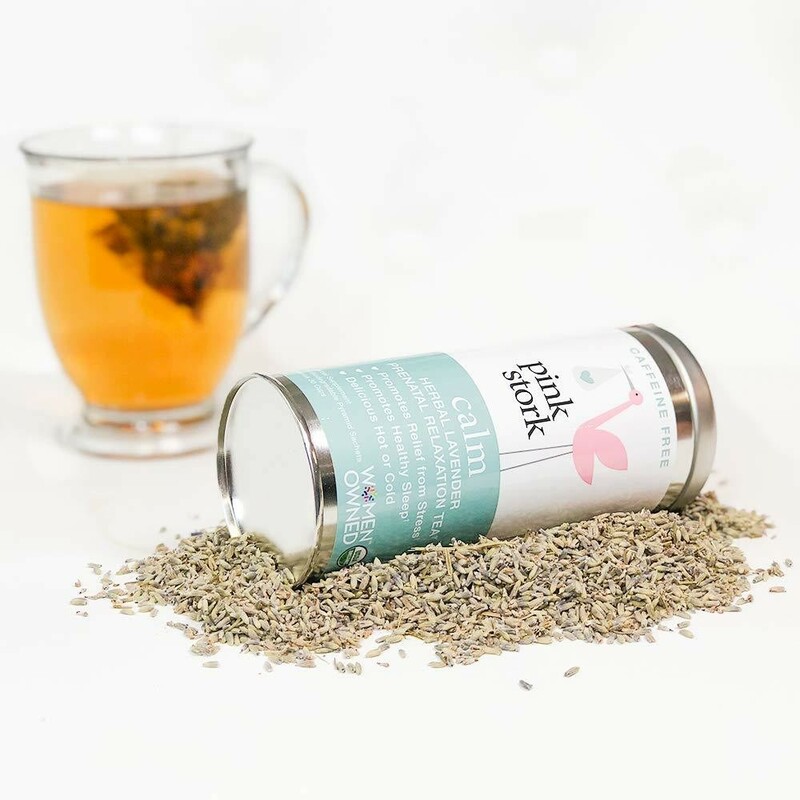 You can easily serve tea cakes, make sure that there are plenty of pastries and cupcakes to choose from, and have a mama-to-be tea on hand for all of your guests to enjoy. Remember how fun your bachelorette party was? Well, this can sort of be the same... except without any alcohol. 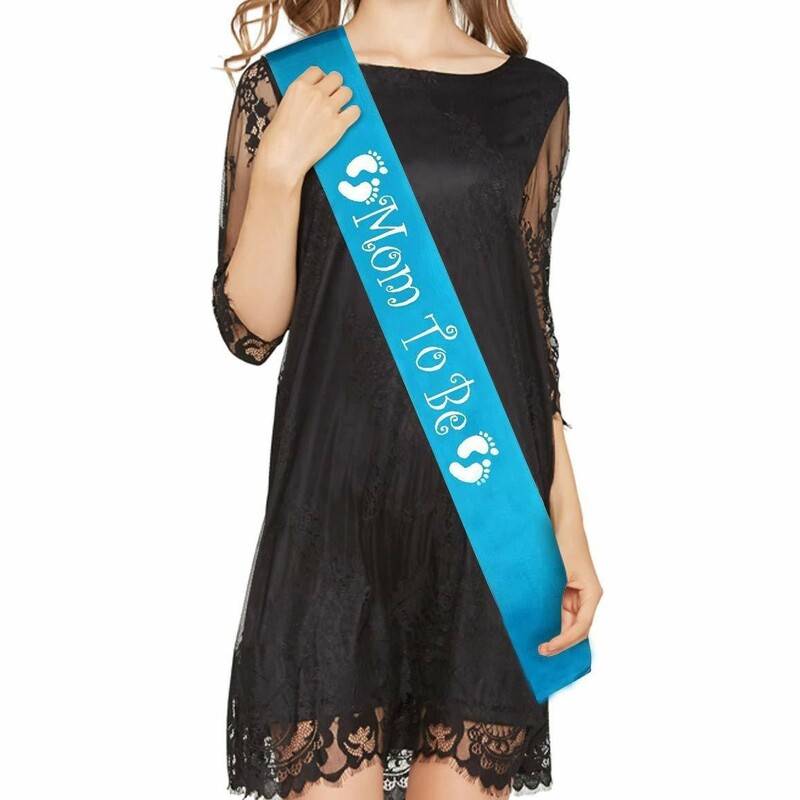 Instead of hosting a more formal baby shower in someone's home or at a restaurant, plan a girls night out (make sure mom wears her mom-to-be sash!) and stop for all the desserts that mom is craving. No matter which type of baby shower theme you decide to go with, having a onesie decorating station is a must. 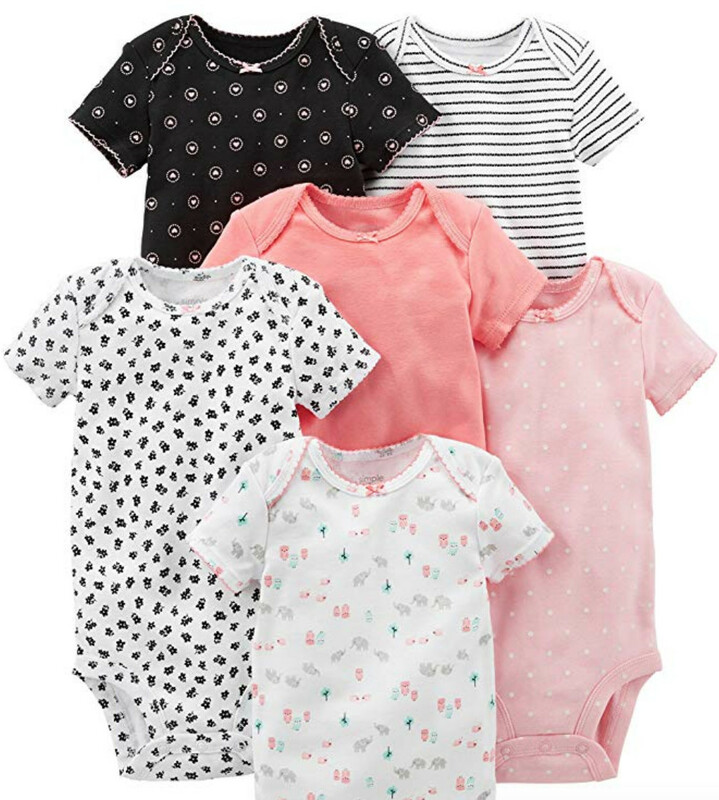 You will likely go through as many as five onesies a day during the newborn stage and having the sweetest ones of hand decorated by your close friends and family will be a wonderful reminder of how much love and support your family has. Make sure you stock up on white onesies! 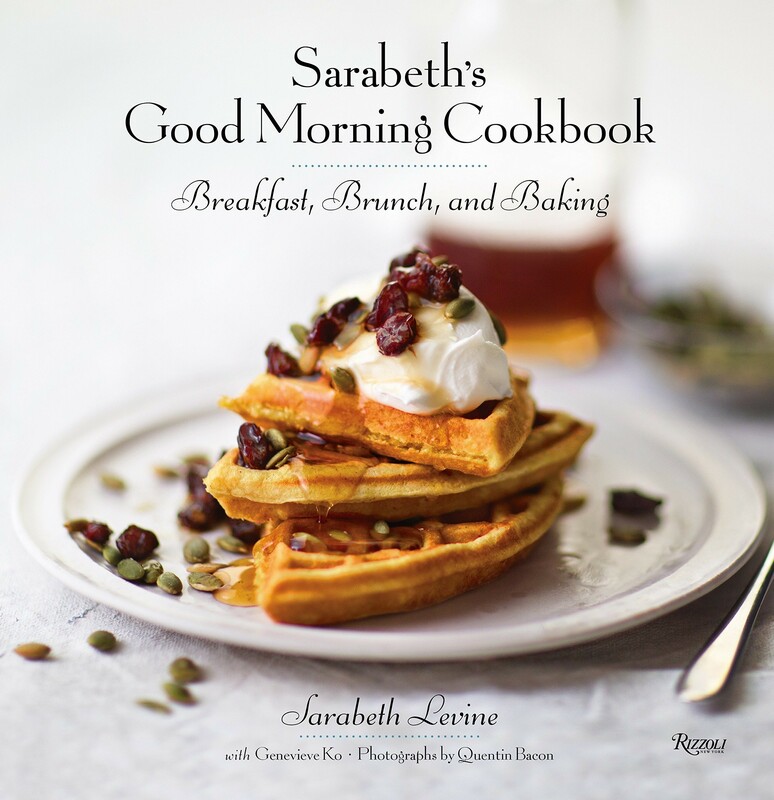 If having a more intimate baby shower celebration is more your thing, then hosting a small brunch with your very closest friends and family is a great way to do that. On a budget? Skip the restaurant and cook at home. You seriously can't have a complete baby shower without including the diaper game. If you've never had the honor of playing it before, you simply melt a bunch of different candy bars into a clean diaper (making it look like you know what) and then guest have to guess which candy bar it is. 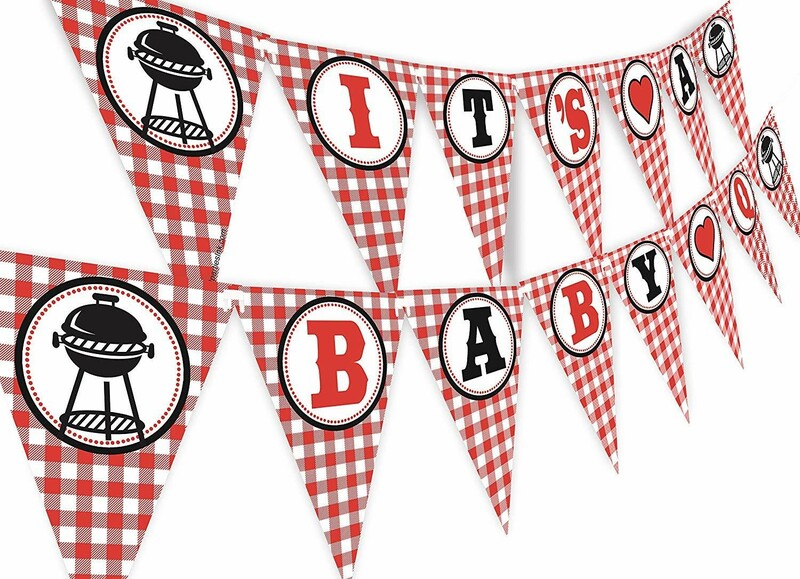 Another fun baby shower idea is including the iconic guess the belly size game. Every guest gets a piece of paper and guesses how many inches the mama-to-be's pregnant belly is. All you need is a tape measure for accuracy and the winner gets a prize! This is an especially great baby shower idea if this is not your first baby and you have most of your baby necessities at home already. 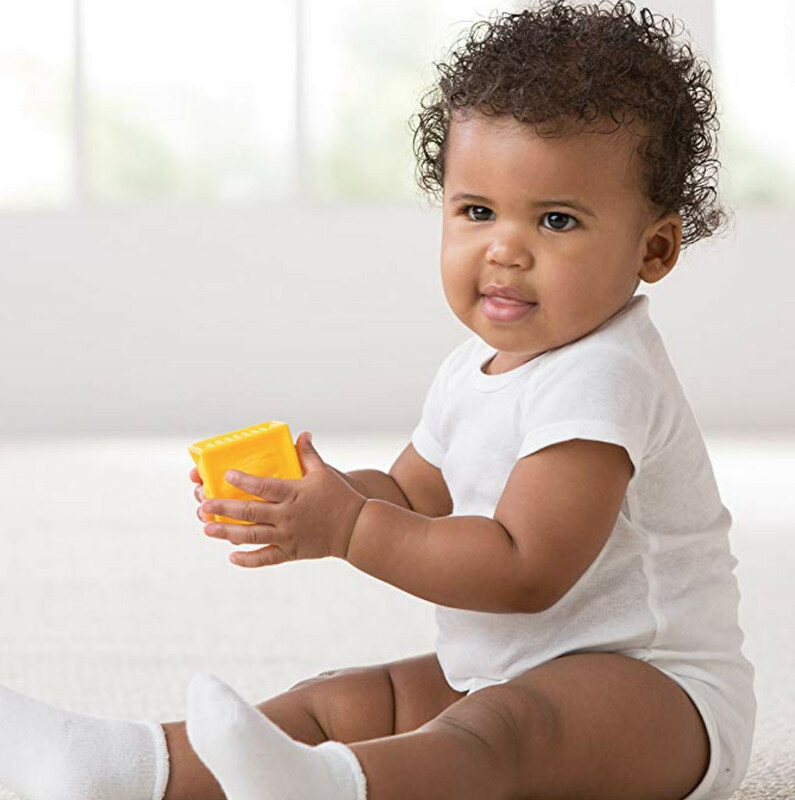 Instead of bringing gifts, every guest brings a box of diapers in a different size and then you and your family are set without having to buy diapers for a long time. No baby shower is complete without the baby food testing game! Enjoy a lot of laughs and faces with the silliest expressions as guests try to guess which type of food is in the baby food jars without labels. We bet that all seasoned mamas in attendance will have an advantage. 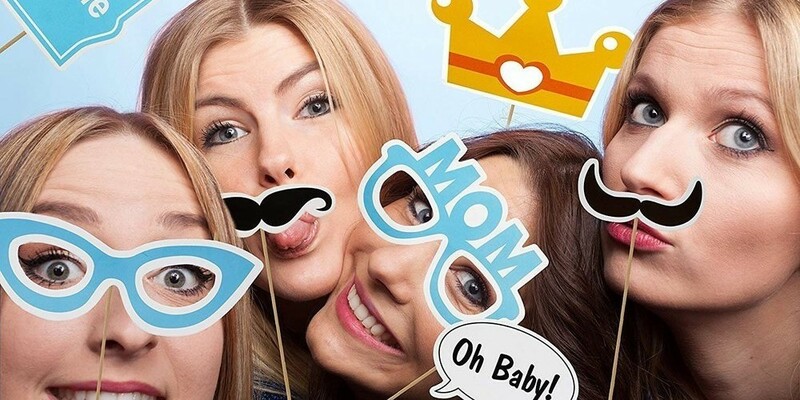 Having the right photo props for your photo booth on hand for your baby shower is essential! Nothing is more fun than catching your guests being goofy and posting those pictures all over social media to remember your special day. 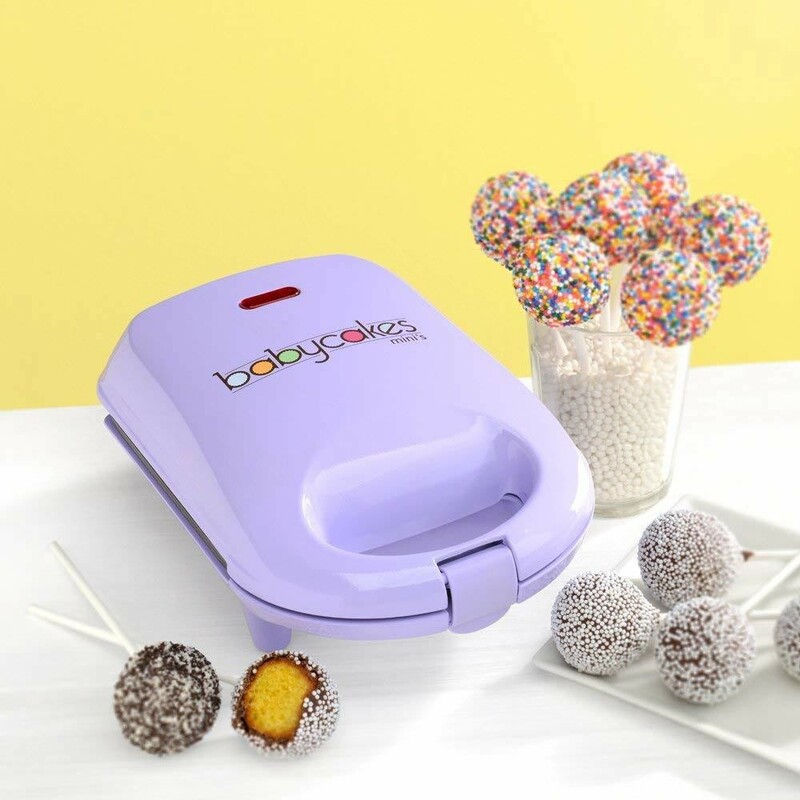 Treats are such a huge part of a baby shower and buying your own cake pop maker is a great idea. Including a decorate-your-own cake pop station that guests can take home with them is a fun and simple way to incorporate treats. As a bonus, it will save you money on the cake! Whether you're having a boy or a girl, onesies pretty much are the universal symbol for babies. This onesie bouquet is a really fun way to decorate for your baby shower, but is also practical and useful afterward, too! Pick up lots of multi-colored onesies and you're set. If you and your partner are Star Wars-obsessed, like so many other couples, incorporating that love into your special day is a truly fun baby shower idea! 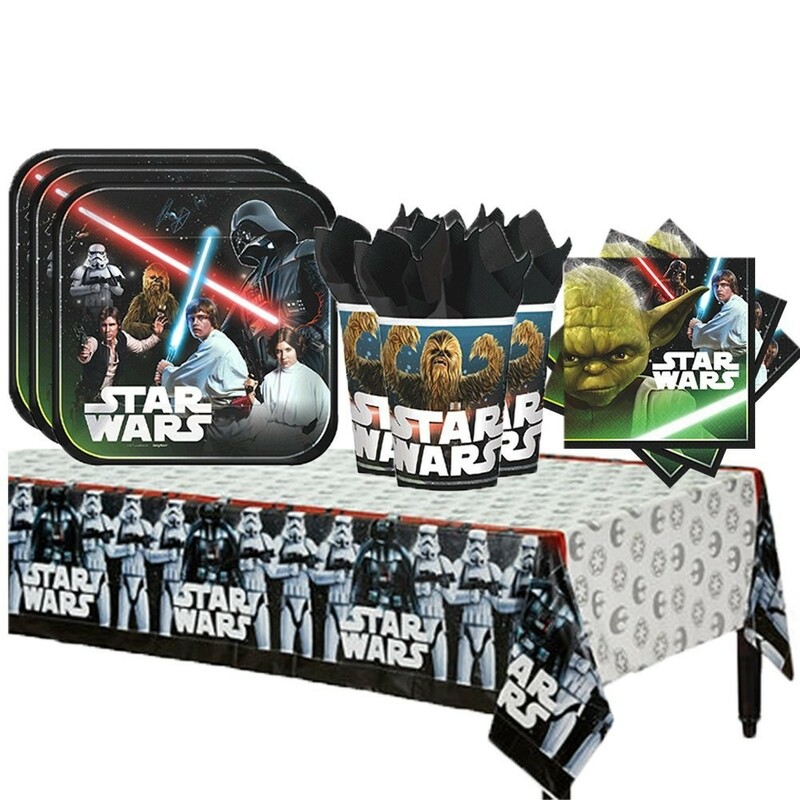 You can go all out with Star Wars decor to enhance the experience and your guests are sure to walk away with fun memories. If you love Friends, you know they did this during Emma's first birthday party and it's a great thing to include in your baby shower! 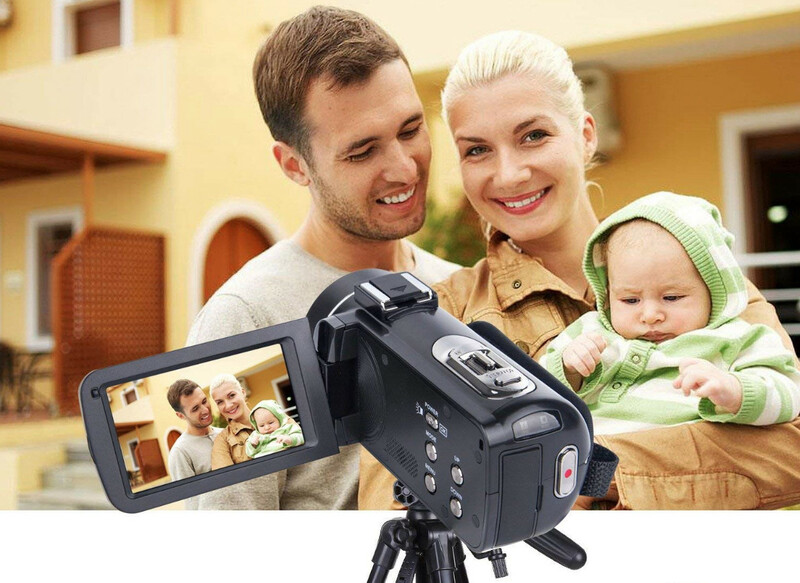 Simply use your phone (or buy a simple Camcorder) and record clips of everyone from your baby shower sharing a little message with your baby and create a video of them all. It will make the perfect gift whenever he or she turns eighteen. We all know that mama is craving a drink by this point in her pregnancy, so mocktails are definitely in order during the baby shower. 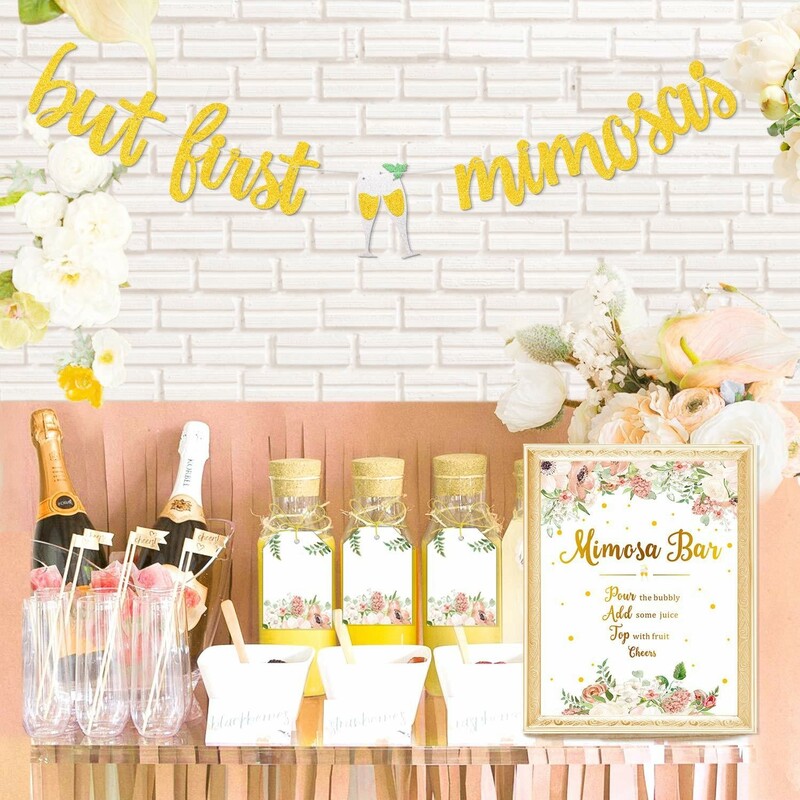 Instead of serving the classic mimosas with champagne and orange juice, build a self serve mom-osa bar that includes a wide array of fresh juices and sparkling water to pair it with. Since mom is soon to pop, why not use that fun play on words and center something tangible around it? 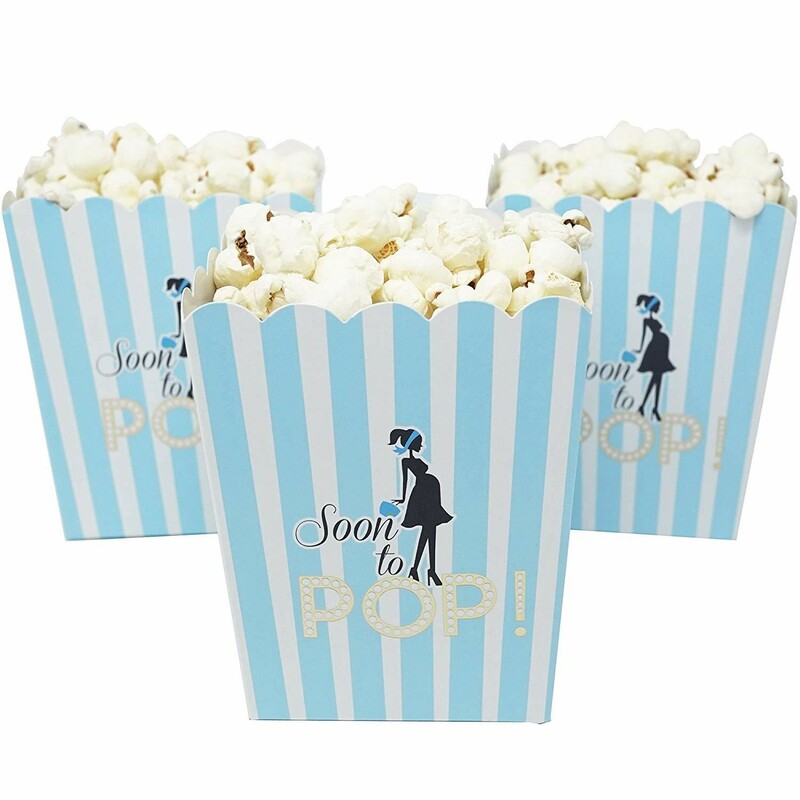 Creating a popcorn bar, complete with these classic Soon To Pop popcorn containers is so easy with the help of some fun popcorn seasonings and candy. 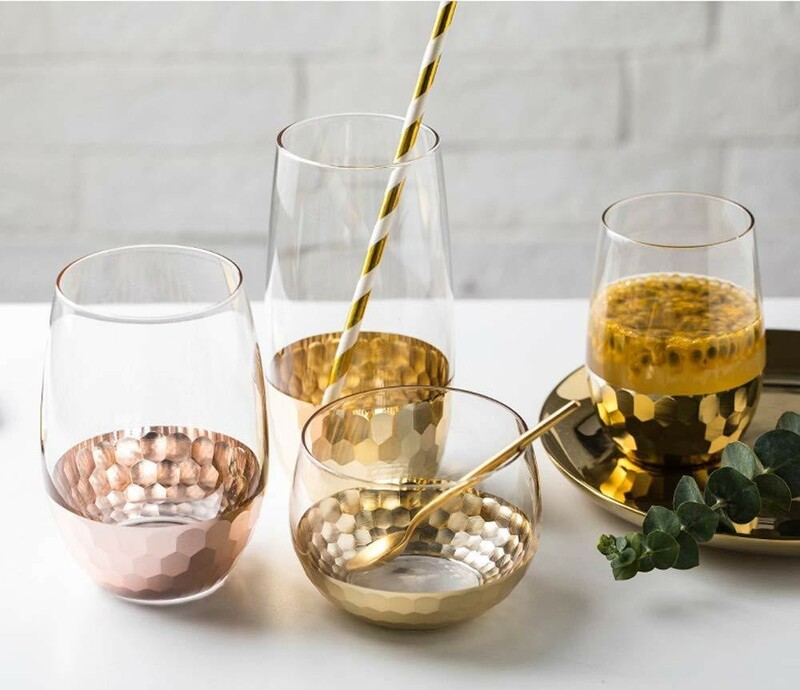 Every baby shower deserves some baby inspired drinks and what could be more baby focused than adding things like rubber duckies to your punch bowl? Pretty much nothing! 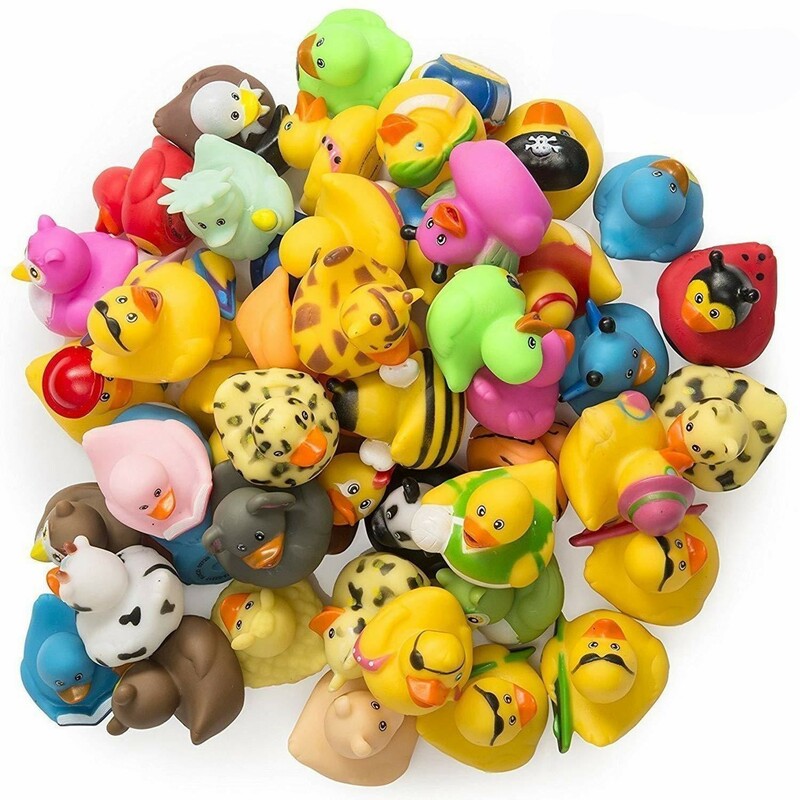 These mini rubber ducks measure only two inches, so every guest can scoop one into their cup. 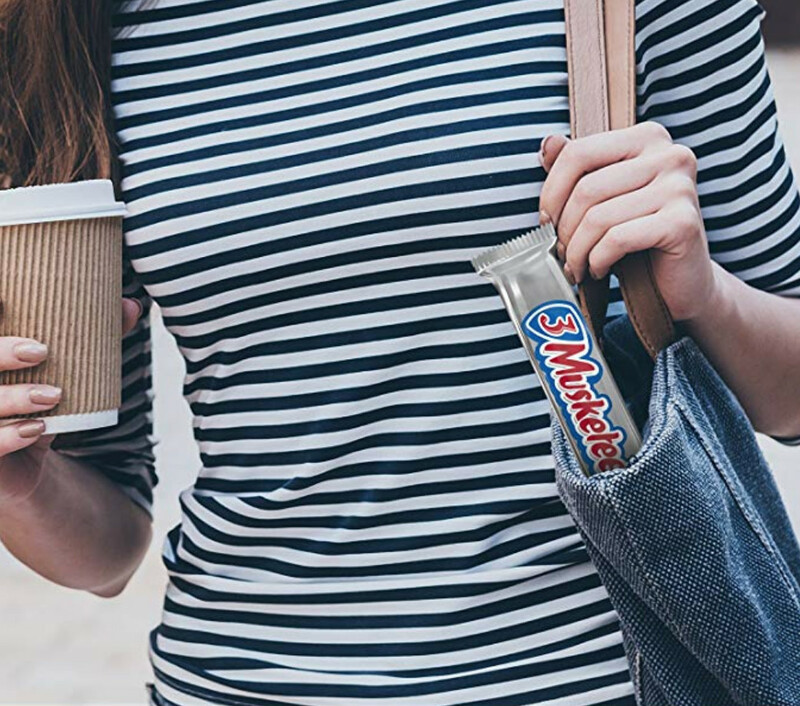 It's no secret that pregnant women get candy cravings often, so incorporating a candy bar into the baby shower can be a fun way to include mom's pregnancy cravings. This is also a great way for guests to scoop their favorites into a bag and take them home as their party favor. 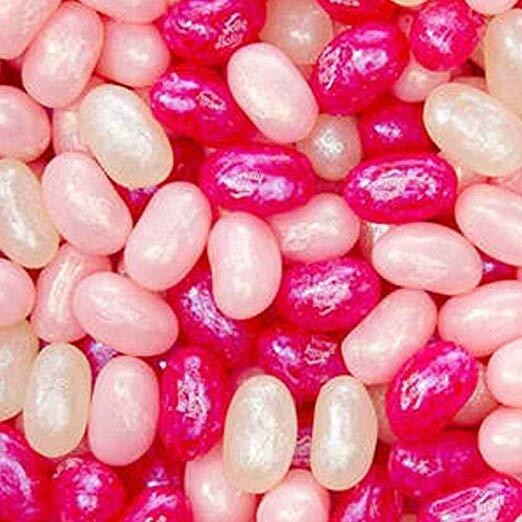 Use fun flavors like Jelly Belly Jelly Beans! 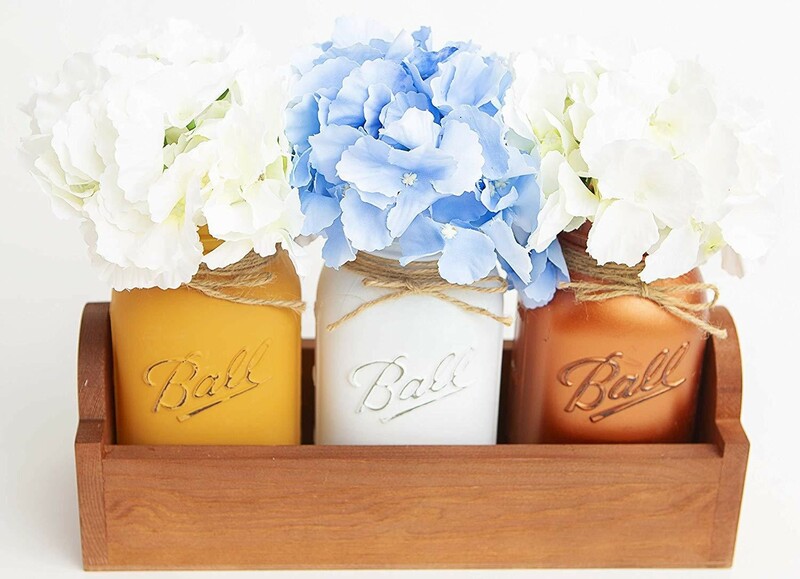 There are so many baby shower options when it comes to the centerpieces, but keeping things simple always seems like the way to go. You can choose to spend your budget on fresh flowers, or simply opt for artificial ones and create basic arrangements using Mason Jars. After the party is over, these also make a wonderful token for your guests to take home. Whether you plan to center your whole shower around ice cream or just create a table with a build-your-own ice cream sundae bar, this is a sweet shower in the making. 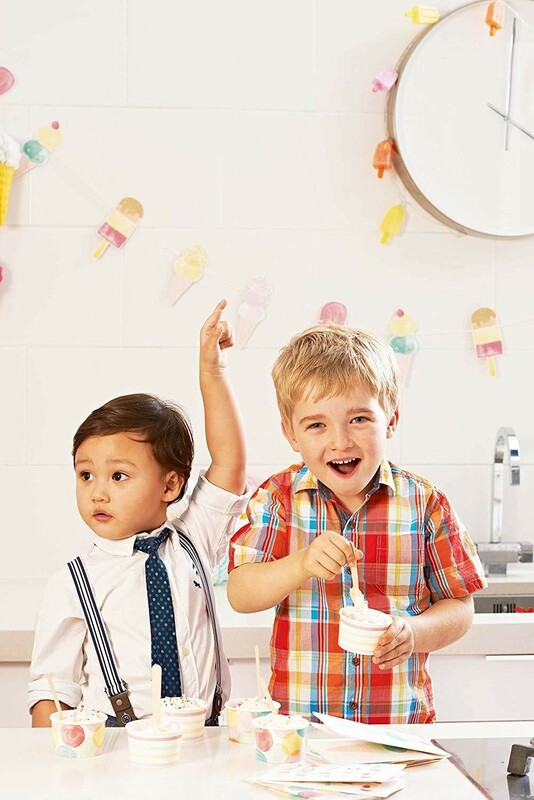 Simply start with some ice cream party decorations, add the ice cream and all the toppings and enjoy! Everyone pays attention to the details of a baby shower's decorations and an easy and very inexpensive way to keep things memorable is to choose some natural embellishments to create trendy, yet earthy vibes. Try adding wood blocks to the centerpiece and fresh flowers (or artificial) to the place settings to really make them pop (no pun intended!). When everything about your shower works together, it makes your whole theme even more cohesive and memorable. For instance, if you have a picnic shower, serving lemonade in Mason Jars goes perfectly. Furthermore, you can make sure that the colors coordinate, too. Serve them in fancy, yet disposable cups and cleanup will be a breeze. If you're searching for a super easy way to add a little extra touch of sparkle to your baby shower, you will love these eco-friendly paper straws. You can find them in many different colors, swirled together with glimmering metallics to make your decor extra fun! 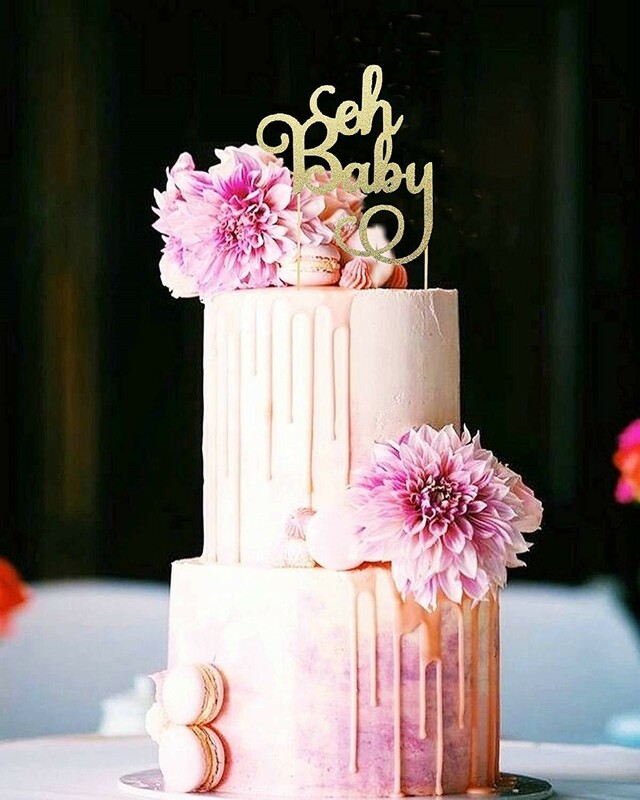 If you know the gender of you baby, serving your guests pink or blue cake is a fun way to add a little extra pop of color. 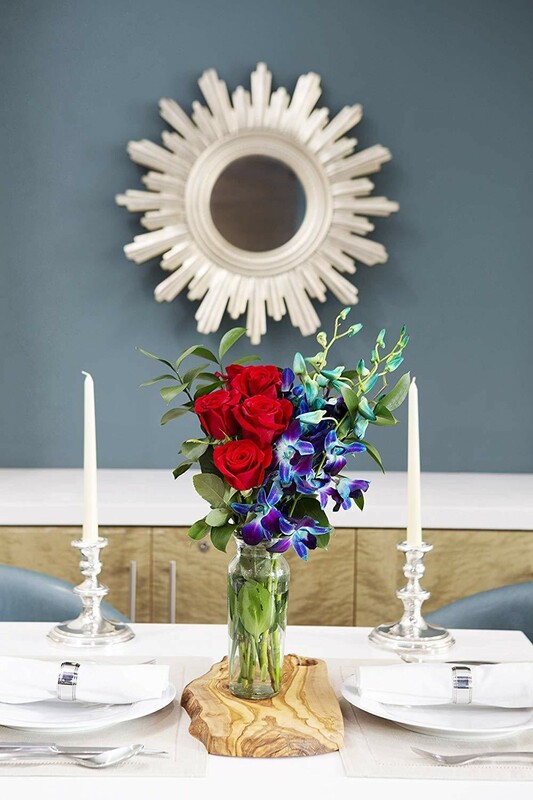 It doesn't need to necessarily be flavored, just incorporate the vibrant hues. 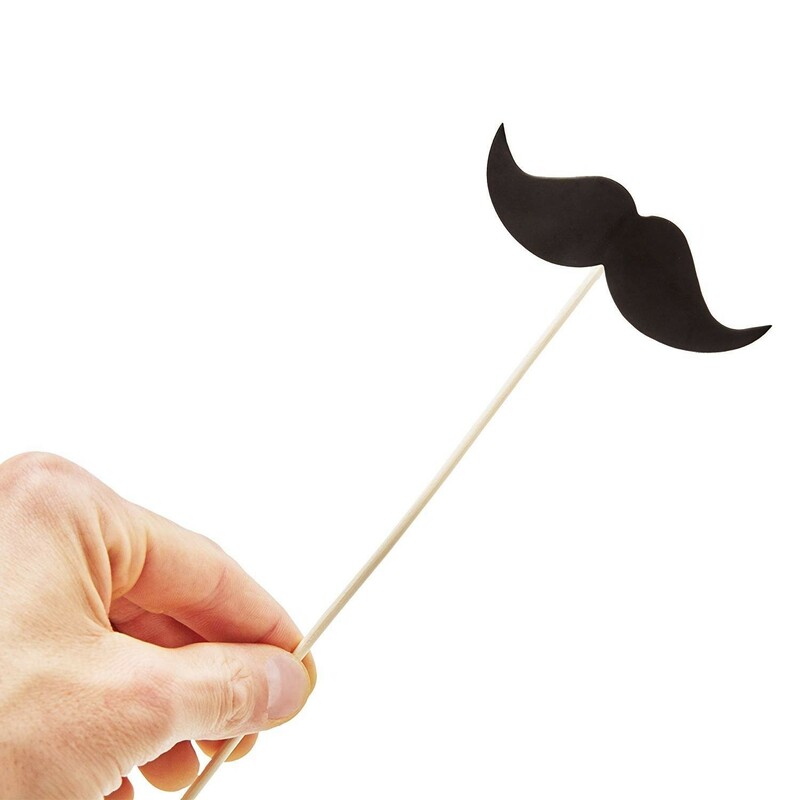 Add this sweet Oh Baby cake topper for some extra pizazz. 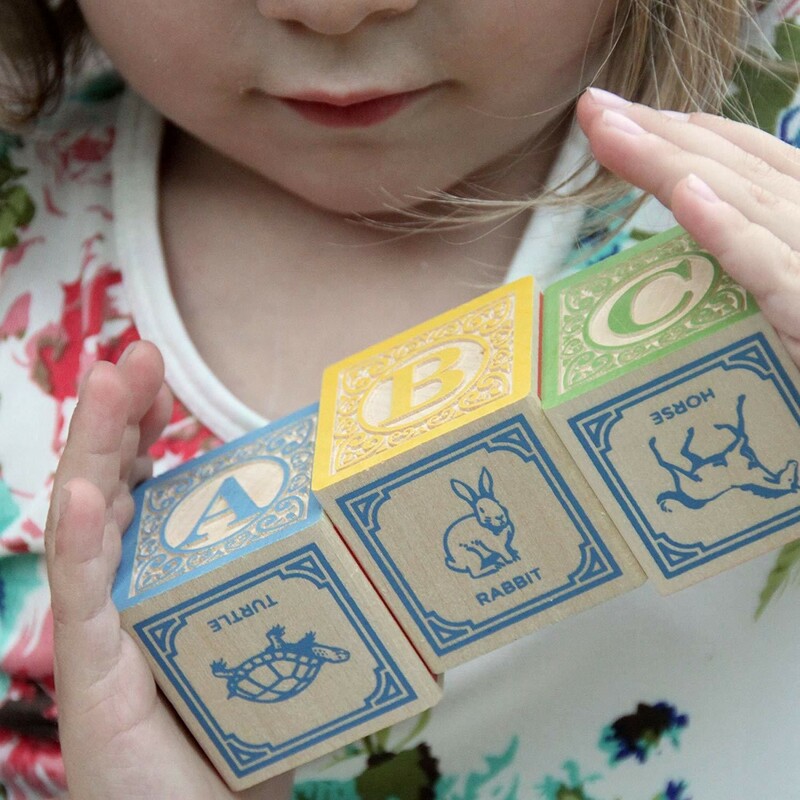 There is just something so sweet about classic wooden baby blocks. They are perfect for a gender neutral theme and great to add to your table decor or to add anywhere that might need an extra pop of baby. And of course, as an added bonus, mom can gather up the blocks after the baby shower and save them for when the little one is ready to play. If your guests don't know yet whether you're having a girl, a boy, or both, the cotton candy gender reveal game is the sweetest baby shower idea around! 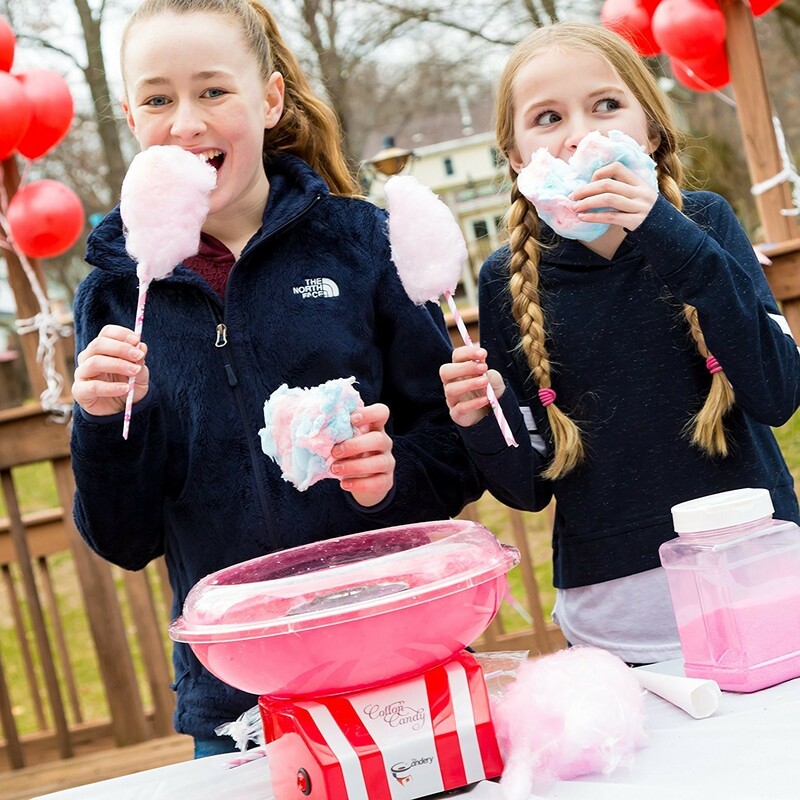 Buy an inexpensive cotton candy machine and offer guest to choose pink or blue cotton candy to cast their votes and then reveal the gender at the end of the party. It's so fun to look at mom and dad and wonder what they baby will look like whenever he or she enters the world! 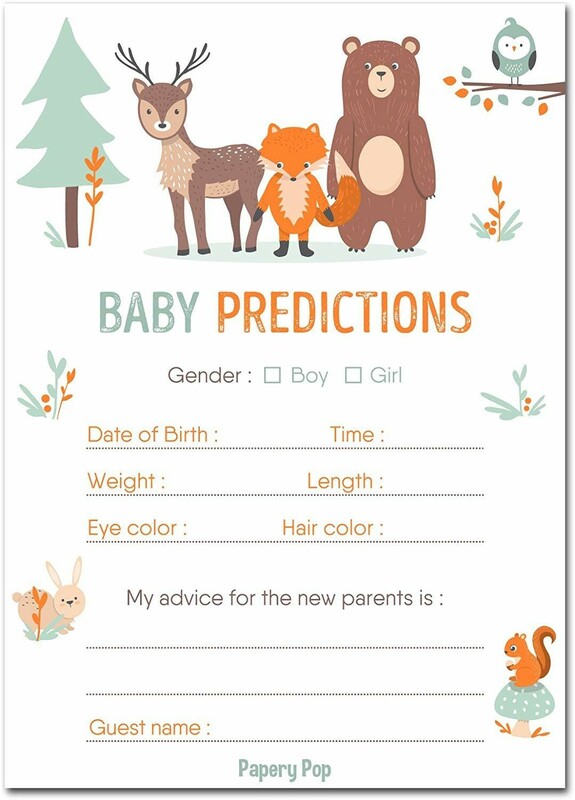 Making so many different baby predication is easier now than ever with the invention of baby prediction cards that can easily be handed out to each guest and kept organized until you're able to cross reference them with your sweet little babe. If you are planning on leaving your baby shower invitation open to other mamas bringing their little ones and you want them to have a good time, too, having a play area for them is a great thing to incorporate. 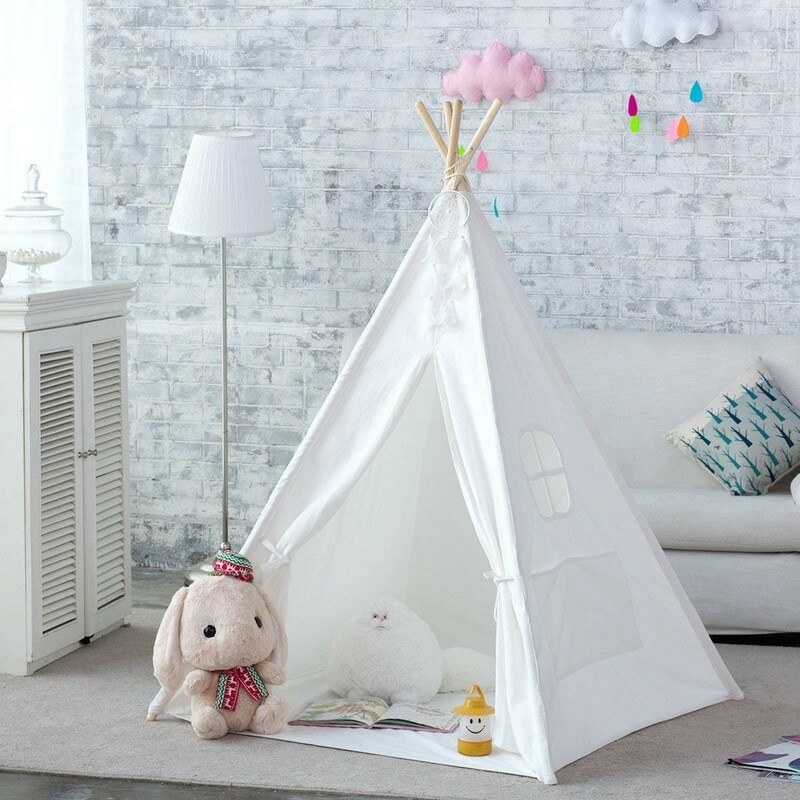 This can easily consist of a beautiful indoor tent that also doubles as the place where guests can store their gifts. One of the most heartfelt baby shower ideas is the sentiment of ending your baby shower with having guests write down not only their wishes for you and your growing family but advice that they have learned along the way, too. 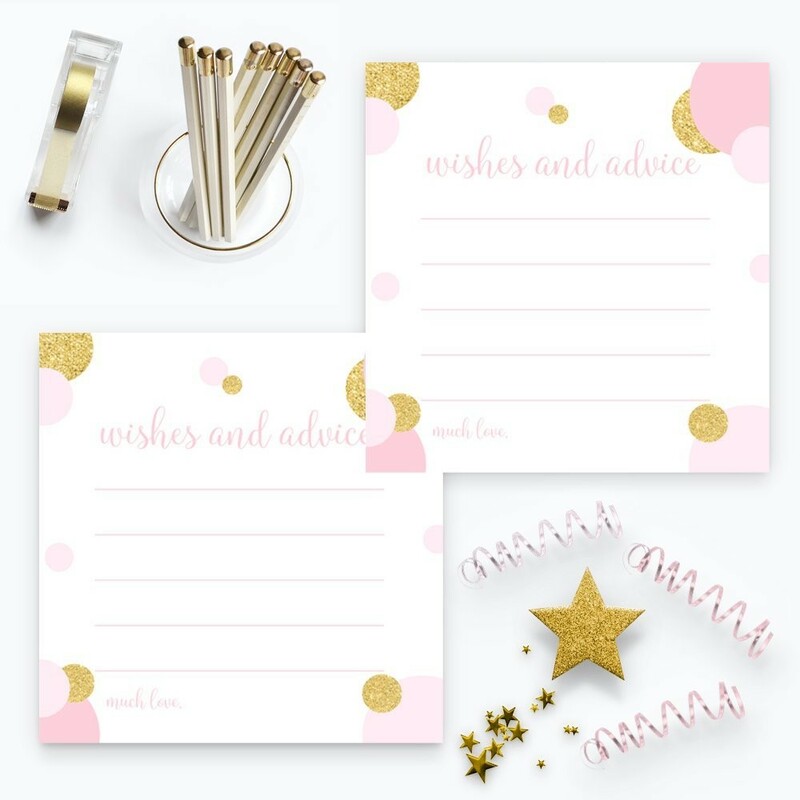 These wishes and advice cards are a beautiful way to incorporate this tradition. It's so much fun to sit and read everyone's thoughts after they have left as you prepare for your big adventure!